Today is mi madre’s birthday. So Happy Birthday to her today! I’m supposed to go up north tomorrow to spend Thanksgiving with the norcal family but me and the kiddos are not feeling well at all. I’m not sure we’re going to make it but we’ll see how we feel tomorrow. Besides that, finally, here are the pictures of what I’ve been doing while I was gone! This is the first sock and I’ve got the second sock started. I plan to continue with the pink up until the toe and will do the toe part in blue. I do not have much of the blue left so I had to start the second sock to make sure I had enough for two socks. 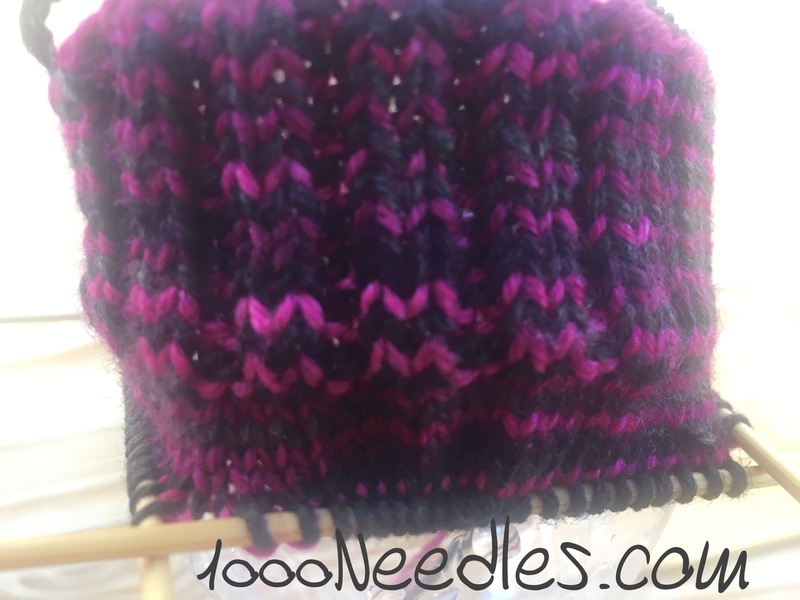 Purple is my favorite color and I’m loving how the gray, dark purple, and pinky purple all blend together nice and stripey. I’m enjoying knitting these up as I go along. 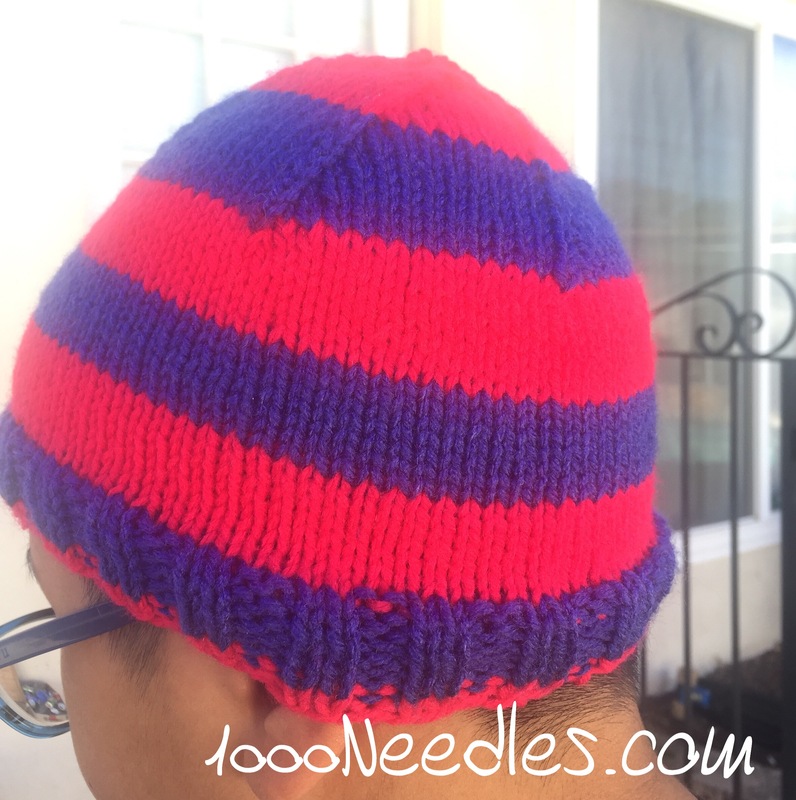 And I posted this picture last Sunday of the Clipper Beanie. But it’s not blocked yet. I really do not know how I’m supposed to do that with a hat. I figured it out with a shawl or flat object but I do not know how to do it with a hat or sock. Is it okay to just spray water on it and leave it flat to dry? For those knitters out there, please help. 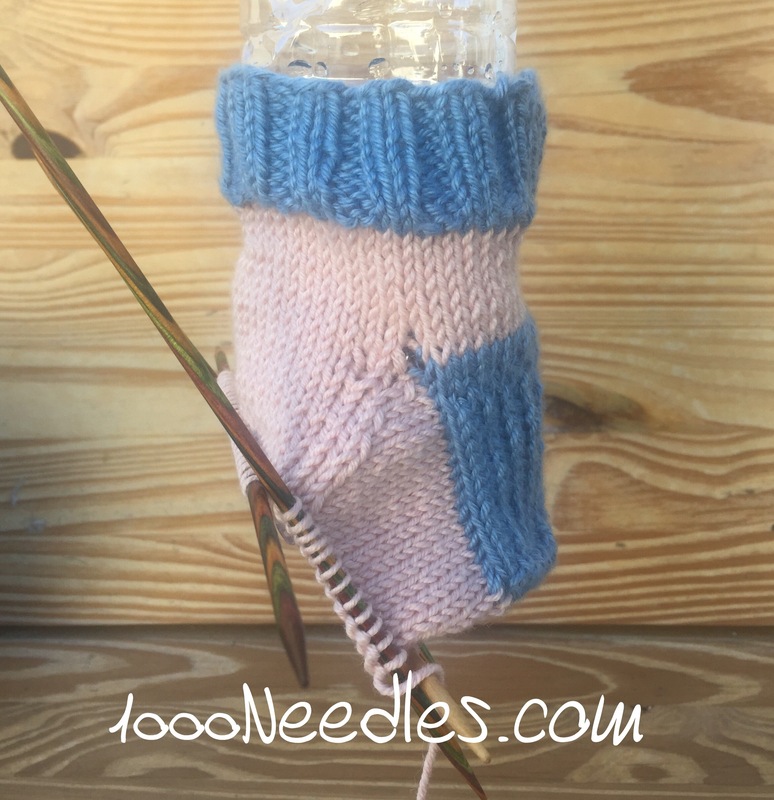 I’m a new knitter and really confused about this. 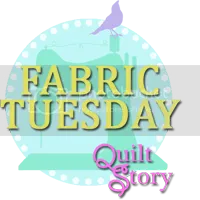 Have a great quilty or knitty day! 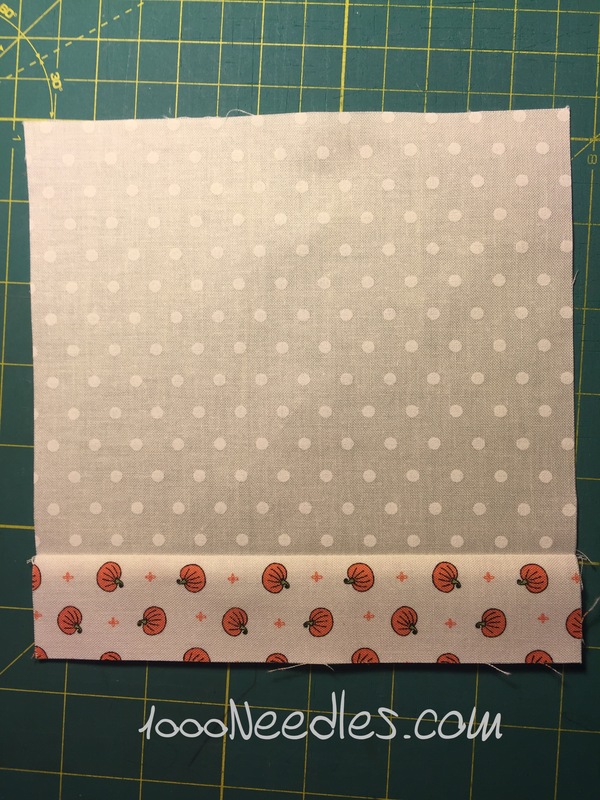 … I realized after I was working on this project that I need to document how I modified the pattern to fit my feet. 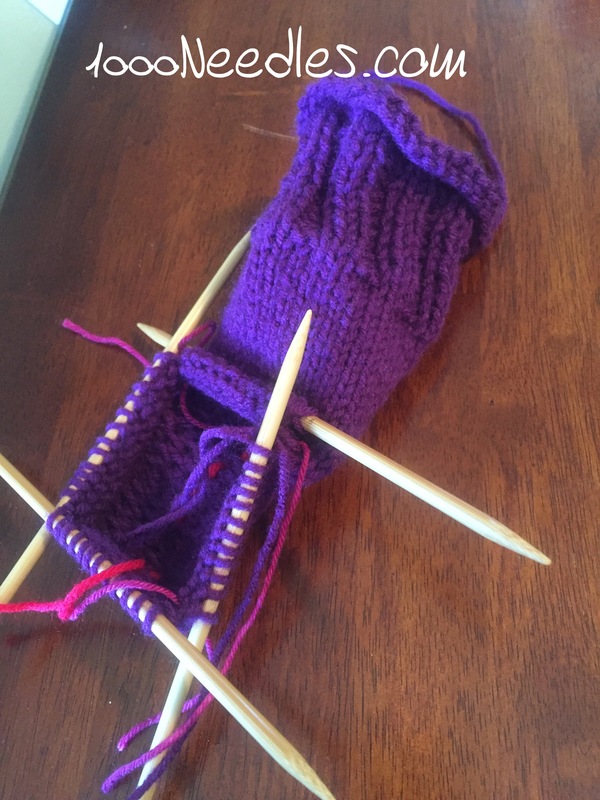 I started with the Craftsy “My First Socks” with Lucy Neatby. 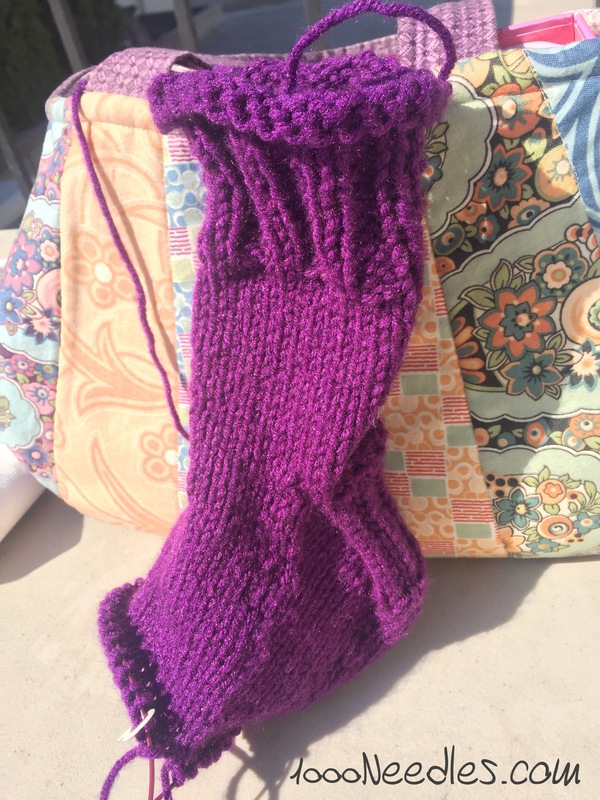 But once I got past the heel I realized that I needed to modify the sock pattern. I have small feet (5-5.5 shoe size) with wide chunky feet and calves. I will need this write up as I do more socks. Especially if I want to do the second sock. Remember… this starts after the heel… Lucy, the instructor in the class said to decrease every other or every round. I found that it was decreasing too much, too quickly. 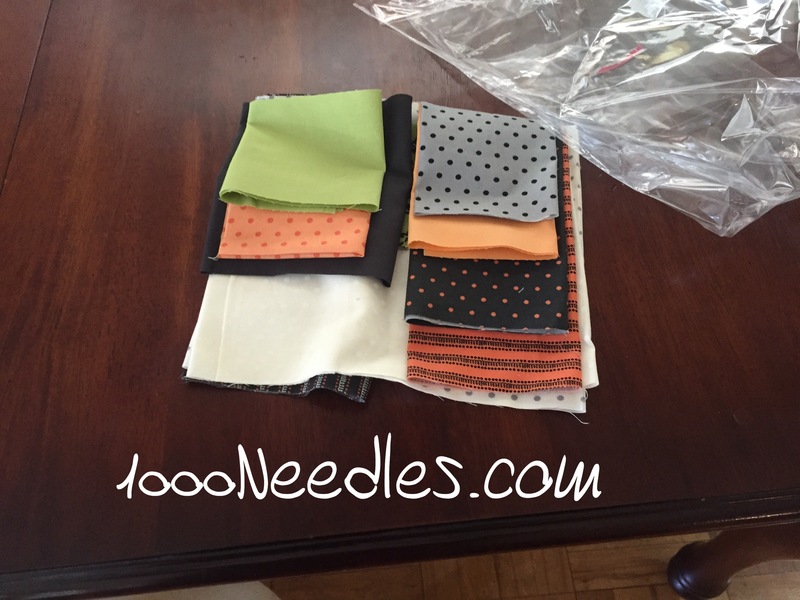 I’m also using really thick yarn and size 9 needles my first time around. I think its supposed to make these knit up easier and faster for the first time sock knitter. 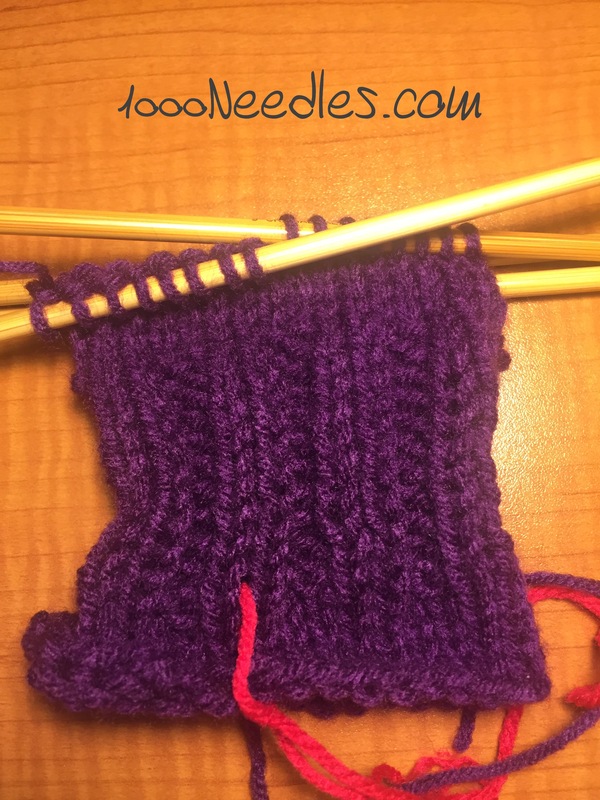 So… this may all change when I switch to proper sock yarn and use the right size needles. 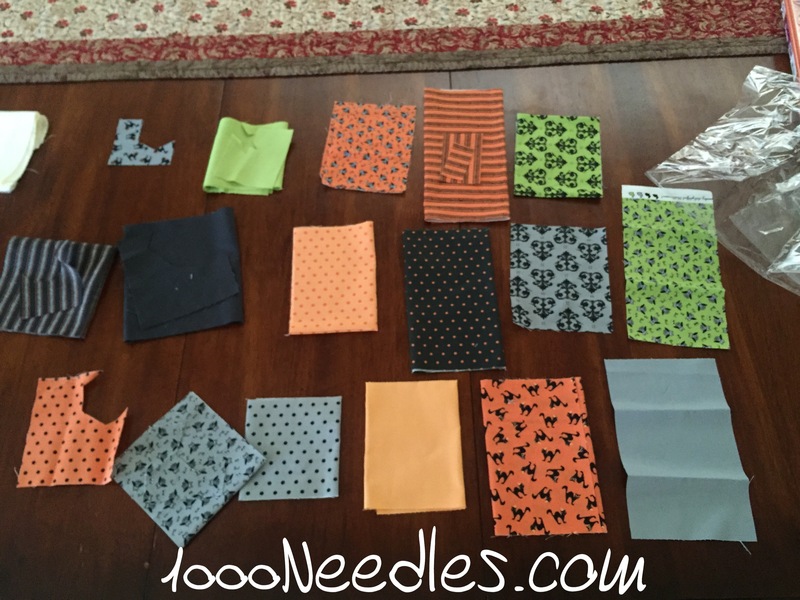 I started with DPNs and later switched to circulars to make it easier. 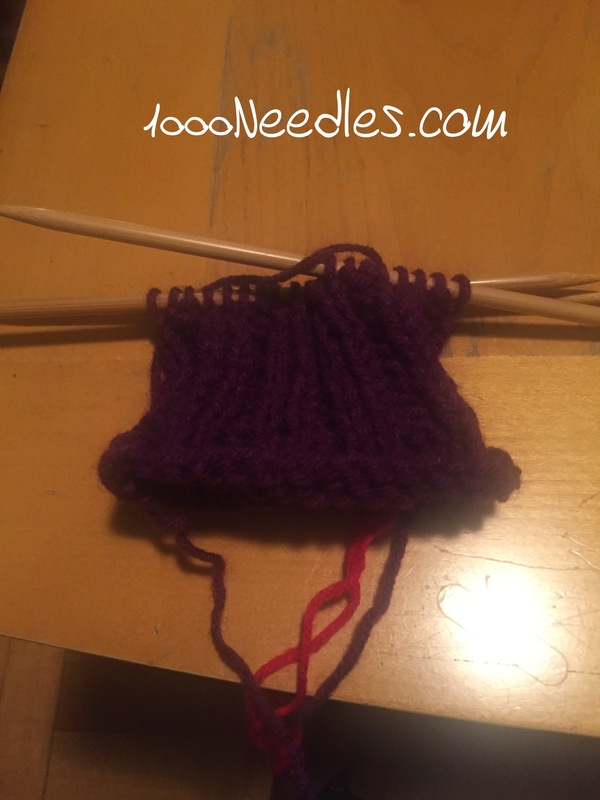 Round – decrease – k, ssk, k rest of the way (total 11 stitches on DPN), knit all for 10 stitches for the bottom of my foot, decrease – knit until the last 3 stitches, k2o, k (total 11 stitches on DPN), top of foot – knit all for 12 stitches. 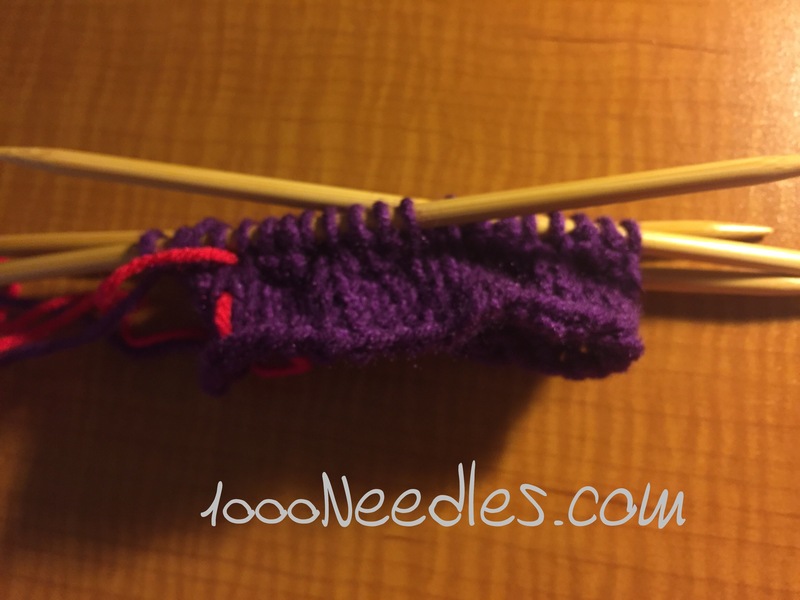 Round – knit all around -switched to circulars. All 12 blocks are finished and now the next step is to work on the alternating blocks. I worked on them a few weeks ago and finished up these center pieces. Now I have to figure out the next steps and get going on them. 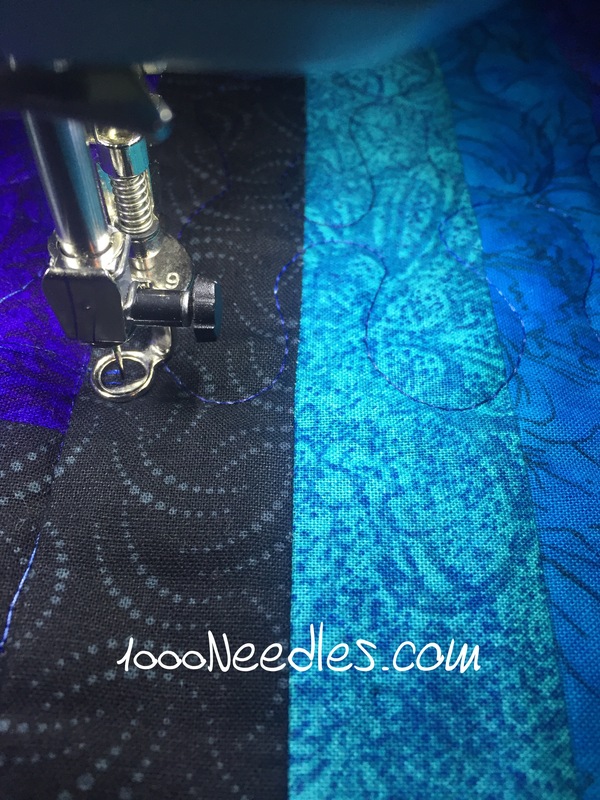 I was able to quilt 2 of the borders and I’m not going to get those last 2 borders done. 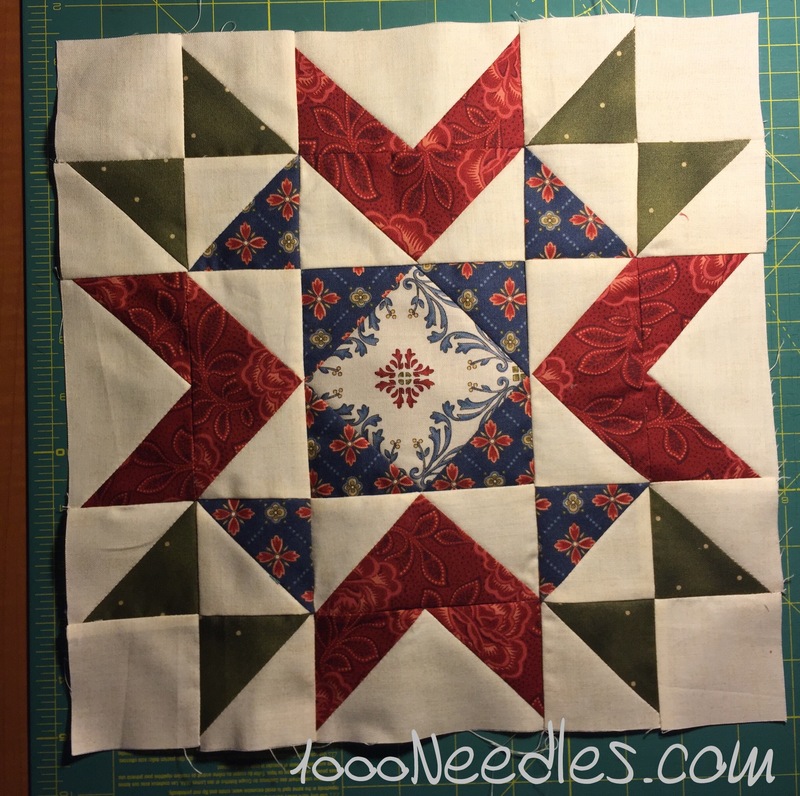 I wanted to spend time yesterday and do 1 border and finish off the last border today but didn’t get to it. Life happened and we’re taking care of all the last minute stuff before we head off. So sometime today I’ll be taking my Bernina off to get her serviced while I’m away. Here’s a pic of where I’m at now. 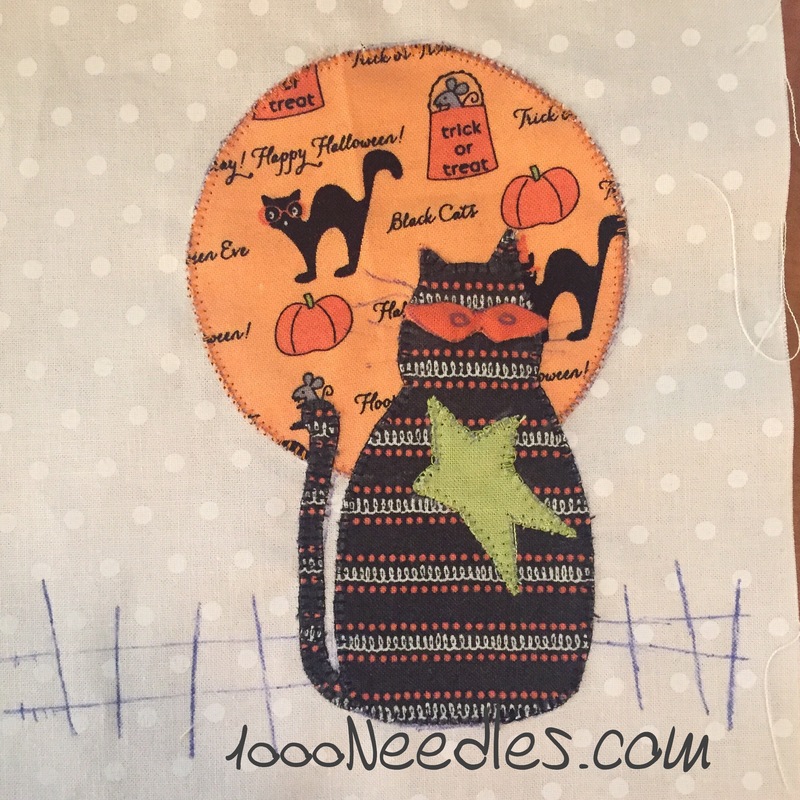 I prepped block 4 of Spooky Halloween and decided that all of it will be hand appliqued. I’ll be taking it on vacation with me. Everything has been traced so all I’ll need to do is cut and applique later. It’s ready to be packed. 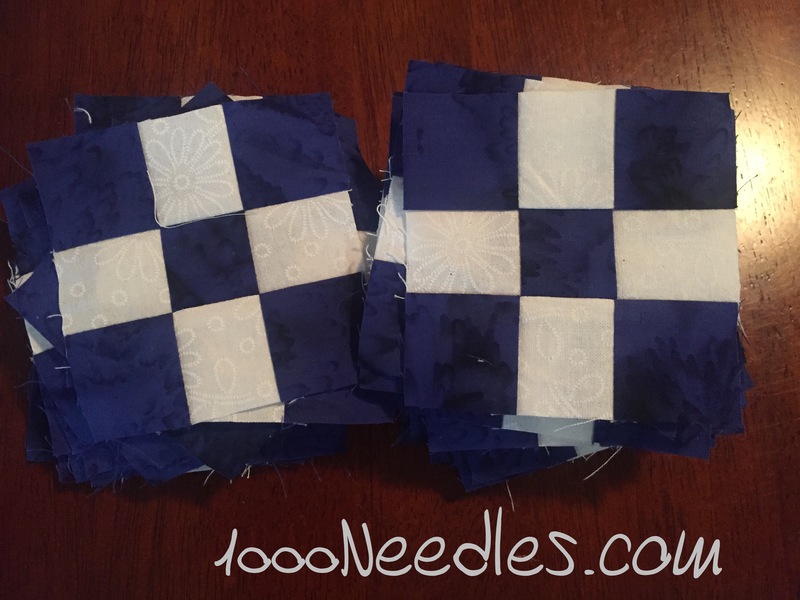 Blocks 1, 3, and 5 are pretty easy since those are applique heavy and currently consist of 6-1/2″ squares. 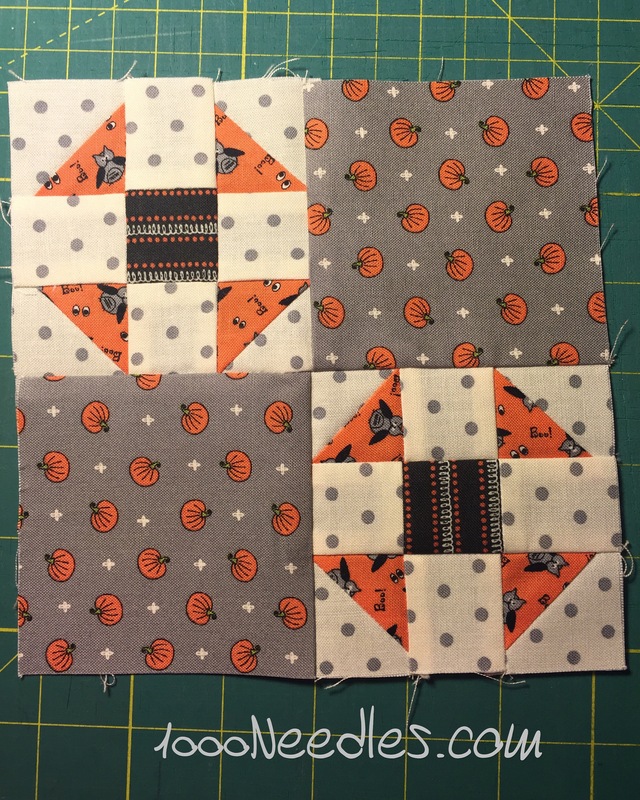 Blocks 2 and 4 are piecing heavy so there was a lot to cut. 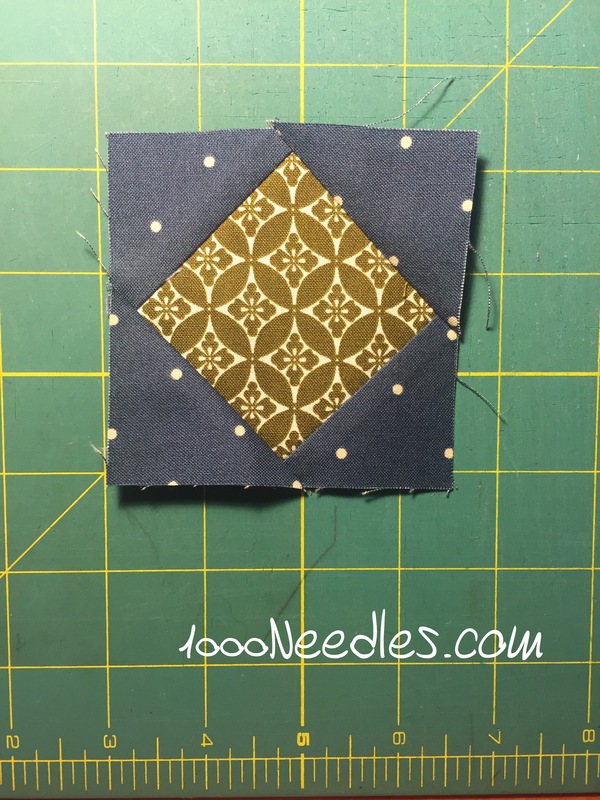 I’ll be working on the machine pieced portion first and then start the applique part one block at a time. 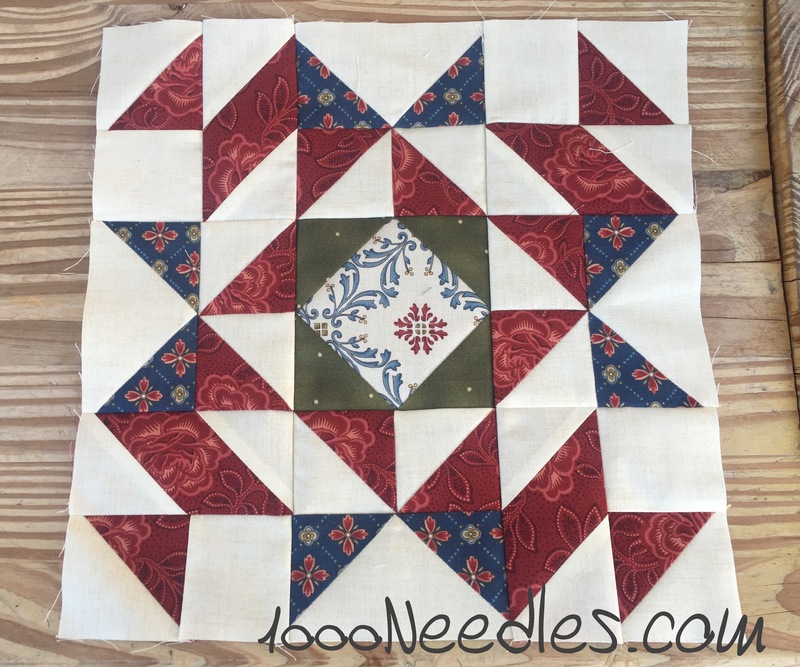 I’ve got enough hand work to take with me so I am not going to rush to get this ready for hand work for my vaca. I have all the pieces on Block 2 and all I need to do next is the embroidery. 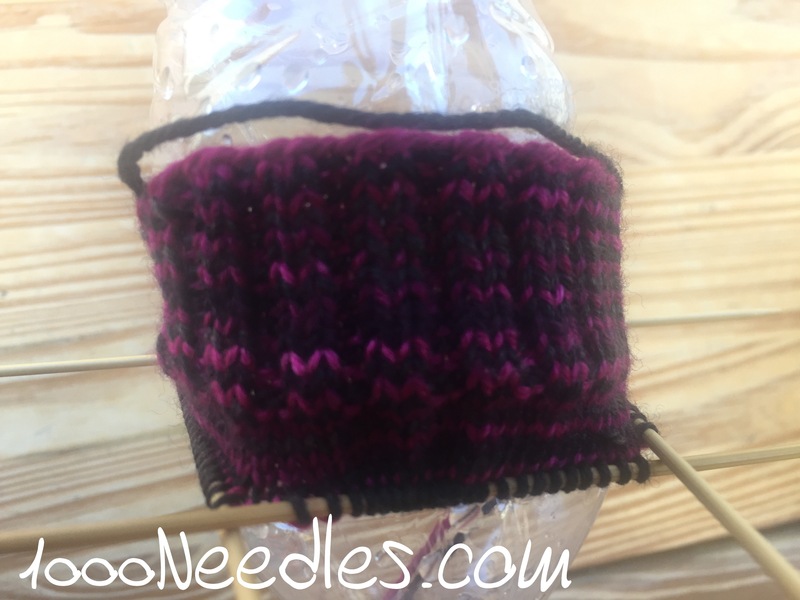 For my knitting this week, I decided that my next project will be socks. 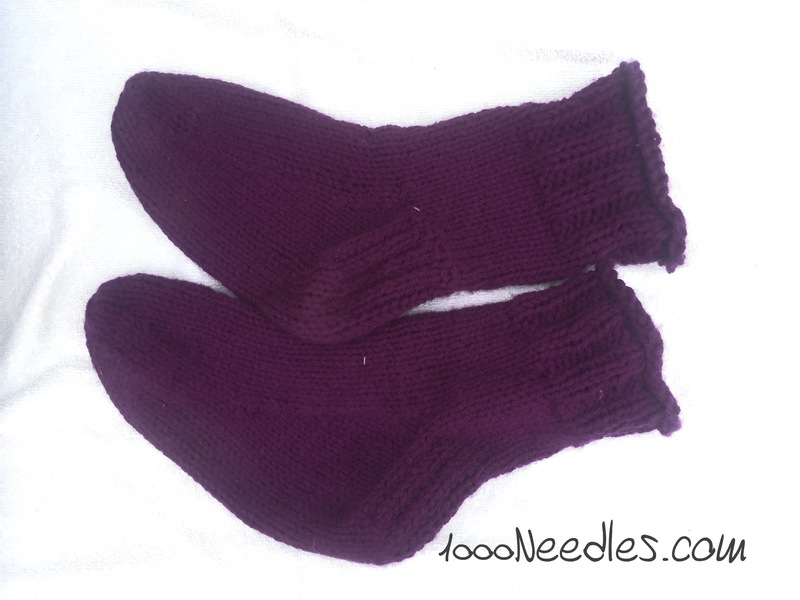 I’ve never knitted socks and I have a couple of sock classes on Craftsy. I’m watching “My First Socks” with Lucy Neatby. I’ve casted on, did the first couple of rows knitting until I got the handle working with DPNs again and then started the ribbing. 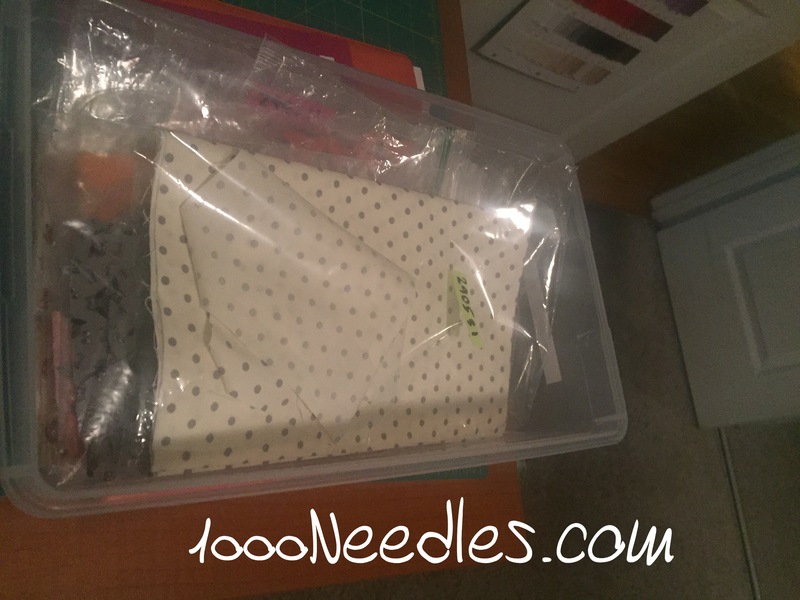 I’m using size 9 DPNs.